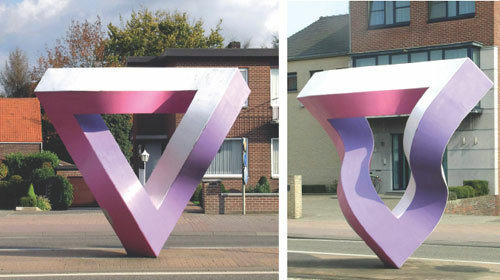 Located in the center of the Belgian village of Ophoven is the following sculpture of an impossible triangle. 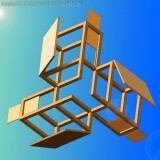 The sculpture is made from wood and finished with polyester. 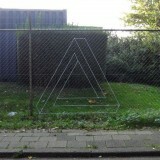 The triangle only appears to be “impossible” when viewing it from a specific angle. The photograph on the right shows how it looks when viewed from other angles. This sculpture was created by Mathieu Hamakers.